The 5G standard was finalized in June last year. Smartphone vendors are scrambling to launch phones with 5G modems to claim the title of the world’s first 5G phone. Apple lags far behind its rivals in the 5G race. But for some reason, a vast majority of consumers in the US believe the Cupertino giant is leading the 5G race, according to a survey. Where does Apple stand in the 5G race? The 5G technology would bump up the average download speeds from 56Mbps on a 4G network to above 1Gbps depending on the network conditions. It will be particularly useful for connected cars, Internet of Things-enabled devices, wearables, online gaming, and media consumption. The first 5G phones are coming out later this month, but they won’t have the Apple logo. Samsung, Huawei, and OnePlus appear to be frontrunners in the 5G race. PCMag conducted a survey of 2,500 US consumers to find out which smartphone vendor they think is leading the race for 5G. A staggering 42% participants believe Apple is way ahead of its rivals. About 29% respondents think Samsung is leading the race. 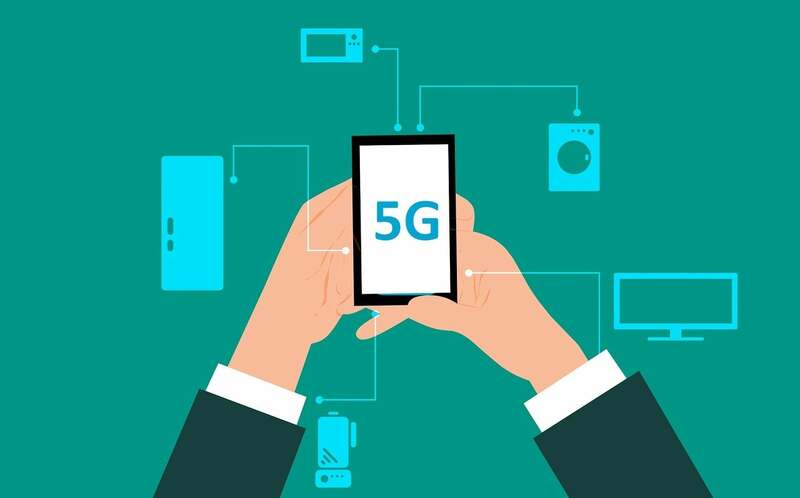 Consumers appear to have little knowledge of the 5G developments. These two giants were followed by LG Electronics at 12%, Google at 7%, and Huawei at 5%. Samsung is holding an Unpacked event on February 20 in San Francisco, where it is expected to show off its first 5G phone along with three different models of Galaxy S10. Huawei, which has bombarded the smartphone market with some cutting-edge technologies, has teased that it would launch its 5G phone on February 24 at MWC in Barcelona. Huawei’s 5G phone would also sport a foldable display. LG Electronics is rumored to be working on its own 5G phone, but there is little clarity when it would hit the store shelves. According to industry experts, Apple won’t be able to launch 5G-compatible iPhones until 2020 at the earliest. Currently, Qualcomm is the only company to have made US-compatible 5G modems. Given the legal battle between the two companies, Qualcomm is not interested in supplying its modems to Apple. The Cupertino company is said to be working with Intel on 5G modems for iPhones, but Intel modems won’t be production-ready until 2020. Intel has accelerated the development of its second generation XMM 8160 5G modem to ensure that it ships with the 2020 iPhones. According to Fast Company, Apple was not happy with Intel’s first-gen 5G modem XMM 8060 due to the huge amount of heat it produced. How will it affect Apple? PCMag says the survey highlights “Apple’s unstoppable brand power in the US” even as its sales have tumbled in China. What’s even more interesting is that only 11% iPhone owners said they would switch to Android for 5G. It could be because the iPhone users are loyal to the Apple ecosystem and won’t mind waiting another year for a 5G iPhone. It’s also possible that they don’t fully understand the benefits of 5G. Historically, Apple hasn’t rushed to adopt the new wireless networks. It waits for wireless carriers to fully roll out the new networks before launching compatible phones to ensure that iPhone owners can enjoy a consistent experience. The first iPhone offered 2G compatibility even though the world had started moving to 3G by then. The tech giant joined the 4G bandwagon roughly two years after its rivals. Fortunately, those delays didn’t hurt Apple. As many as 20 Android vendors including Nokia, HTC, Oppo, Vivo, Sony, Xiaomi, and others would launch 5G phones this year running Qualcomm’s Snapdragon X50 modem. But whether consumers will be able to take advantage of 5G speeds would depend on carriers. Wireless carriers in the US and many other countries would start rolling out 5G services this year and it could take more than a year before they offer decent 5G experiences to users. So, Apple won’t be that late to the party. According to recent reports, Apple is preparing to launch three new iPhones this year, just like it did last year. The iPhone XS Max successor would sport a triple camera system while the iPhone XS and XR successors would get dual cameras. With the new iPhones, Apple would double the duration of Live Photos from three to six seconds. The devices would run iOS 13 software and Apple’s custom A13 processor. The iOS 13 is expected to bring a system-wide Dark Mode and many iPad-specific enhancements like a new home screen and a better Files app.